Platinum lady's combination cast & die struck diamond engagement ring with tapered half round shank with a bright polished finish. 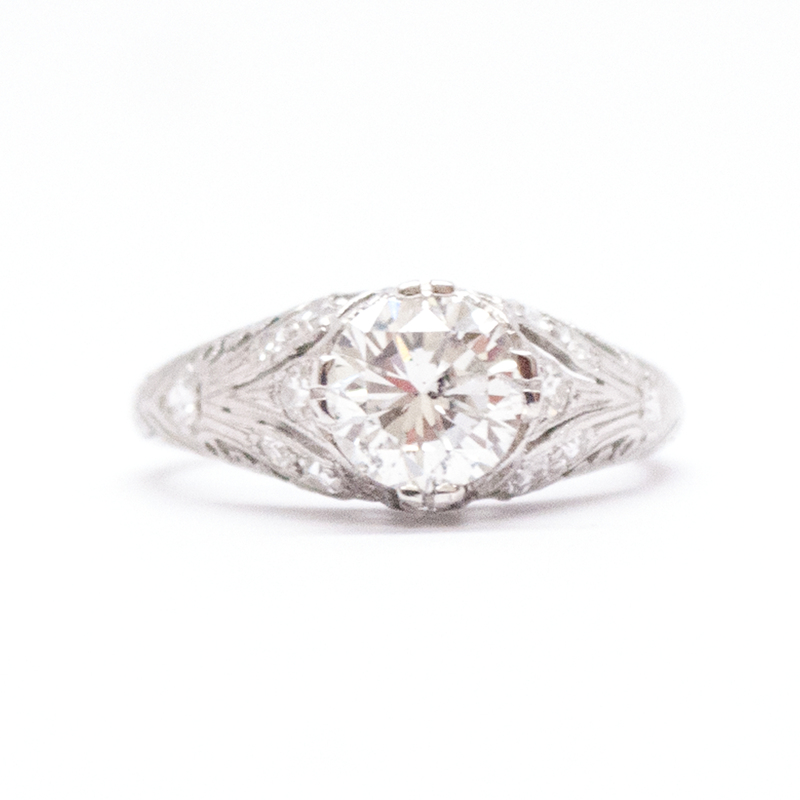 This vintage ring features a transitional cut diamond in a double four prong setting. It sits in a pierced filigree setting containing fourteen bead set single cut diamonds. The ring is accented with milgrain detailing.